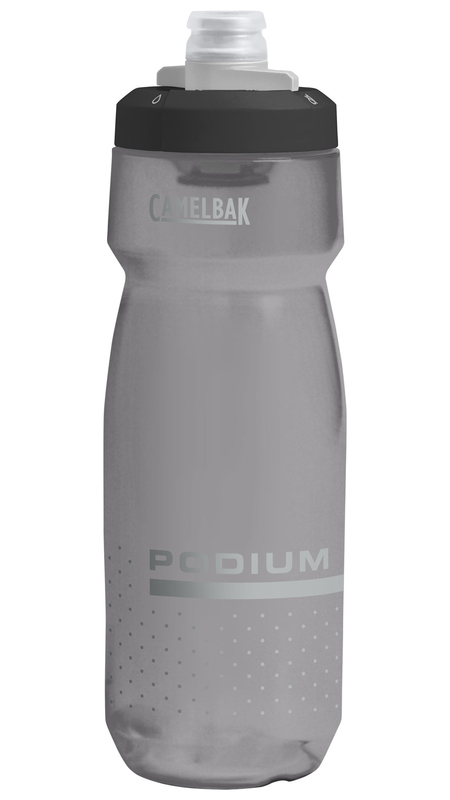 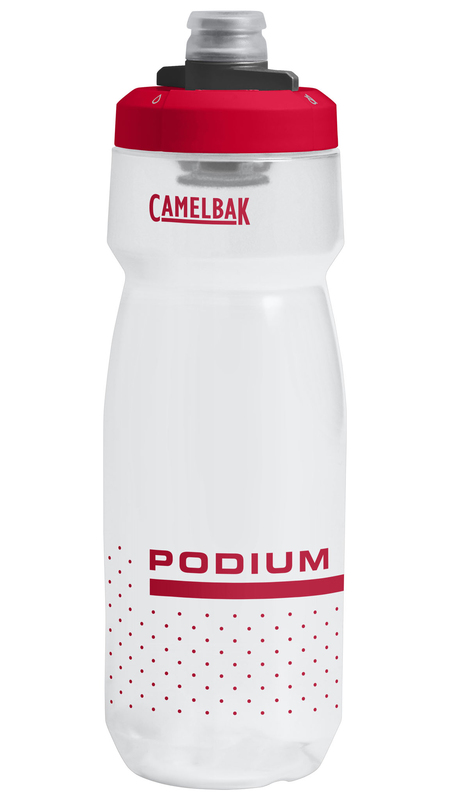 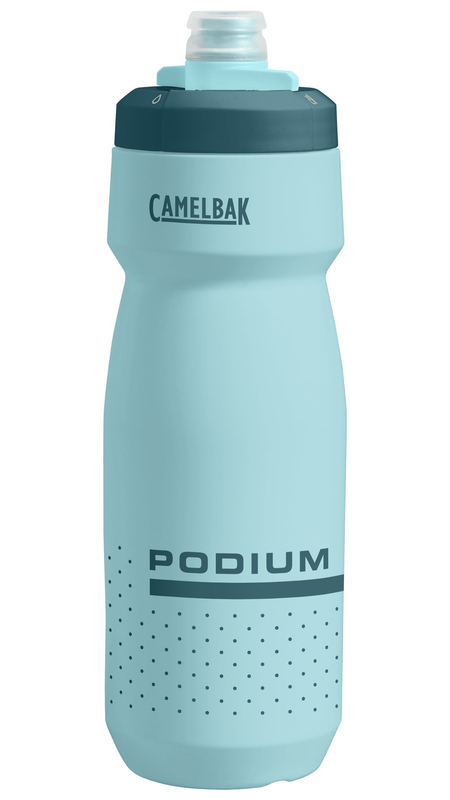 The Camelback Podium bottle removes the problem of having to pull open, and push shut the valve on your water bottle with its bite-like Jet Valve. 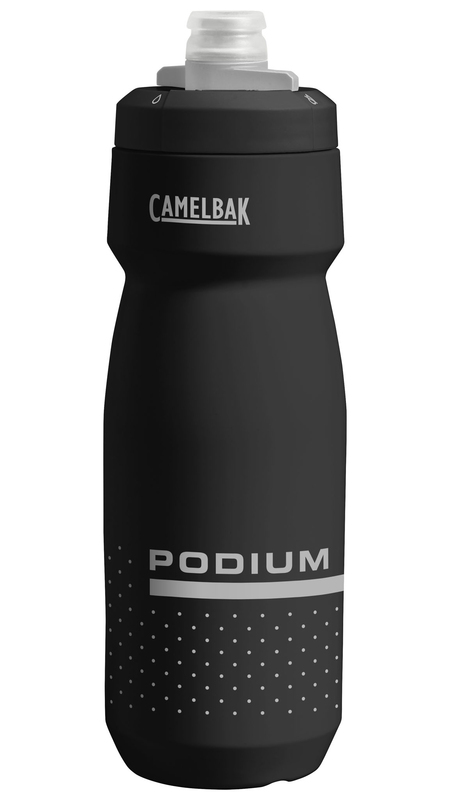 Camelbak's new valve self-seals to let you sip or even squirt your beverage of choice with no fear of leaks. 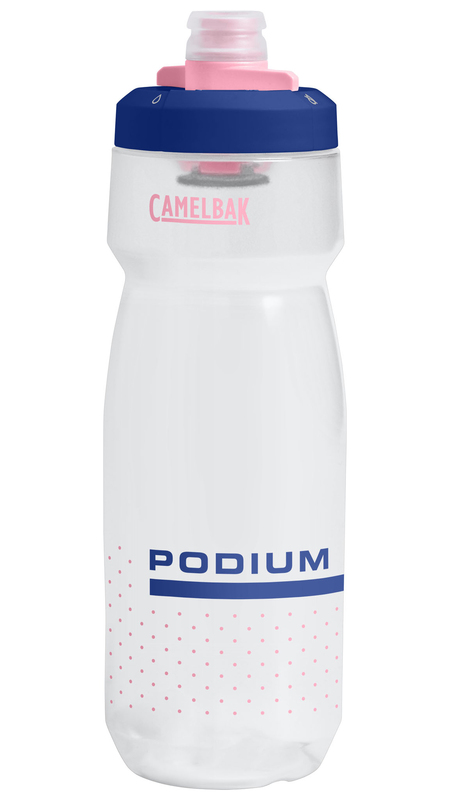 The Garmin-Sharp pro cycling team likes the effectiveness of the CamelBak Podium bottle so much that they choose to use them in training and during races. 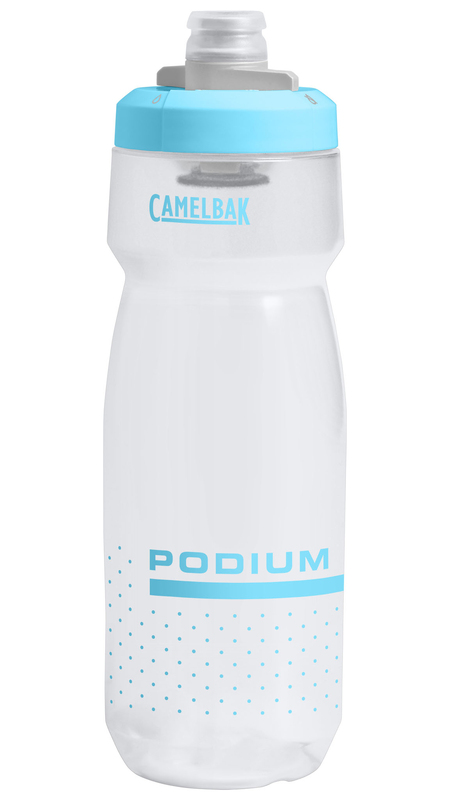 Give the Podium a squeeze and you'll see why!